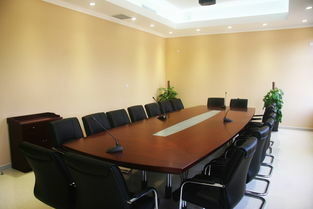 and the principle of "cooperative innovation, pragmatic and achieve", constantly improve production technology and quality management system and innovation, in 2012 passed the ISO9001 international quality management system certification, CCC national compulsory certification, CQC household appliances, KC, CE, PSE certification, has a good reputation among the same industry! 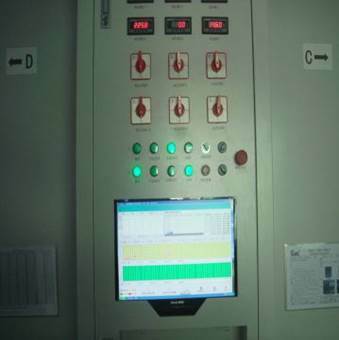 We constantly improve our quality system and consummate our QC and QA team, from raw materials purchasing to final product inspection,we standardize the SOP, testing each product according to the safety standard requirements and quality system, to make sure all adapters 100% passed before package and shipping. Our high quality standard and very competitive pricing that help our market stretches to most of the worldwide.We always focus on our company goal"High quality, Better pricing and Best service" to satisfy our all customers needs! 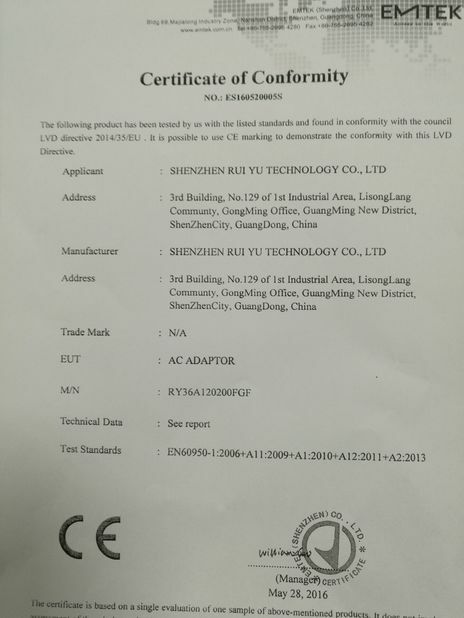 RUIYU TECHNOLOGY was established in July 2010, specializes in ac dc power adapters, chargers, switching power supplies, integrating development, production and sales! 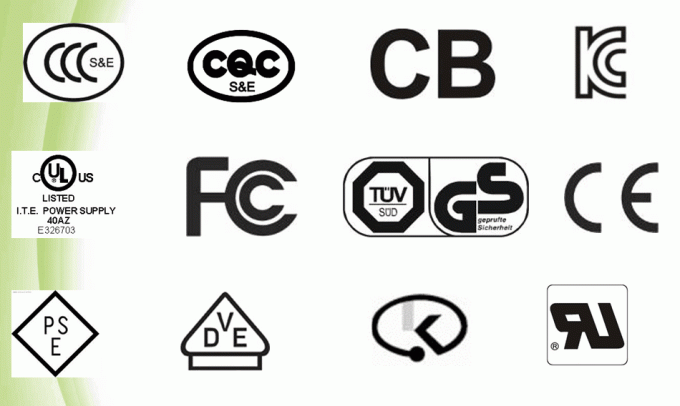 In Dec 2010,We have obtained universal safety approvals as TUV, GS, BS, CE, UL, FCC, C-UL, PSE, SAA, and CCC. 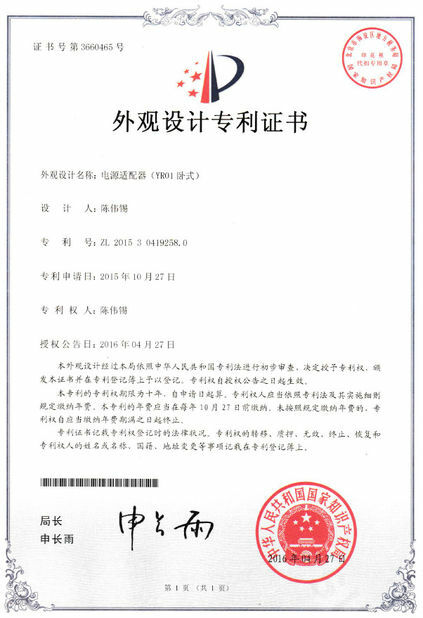 In Feb 2011,Our products are compliant with EU requirement ROHS Testing by SGS Company. 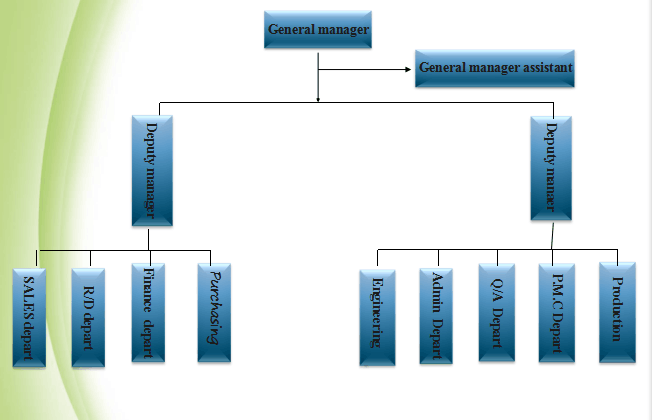 In June,2011, our plant With ISO9001:2000 quality management system. 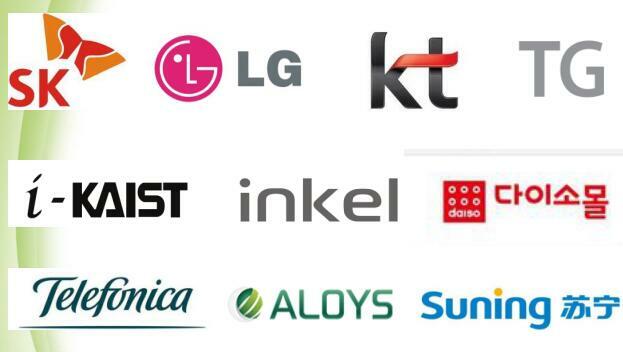 In Aug,2012, our monthly order quantity reach 800,000 pcs adapters and the major customers came from USA, EU, UK, Japan, China and other countries.And we also ODM for some famous companies from South Korea. 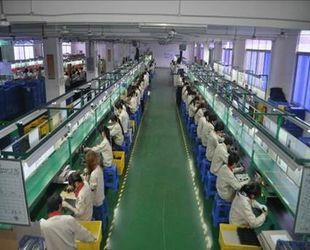 RUIYU Technology has over 10 years experience in adapter design and manufacturing.We have over 10,000 square meters working place and warehouse,we have over 400 first- line workers,and built up 10 production lines and 2 SEMI- AUTO production lines, we have morden production equipments and testing instruments. Our daily production capacity is over 35,000 - 50,000pcs and our lead time is 15 - 20 days after we recevied the confirmed order. At meantime, to make sure all adapters must be met our high quality standards, we have around 30 QA / QC staffs to check and test each adapter to meet the quality requirements at each production stage, and have to record down the value and keep prodcution reocrding for a few years for tracing. We strictly follow up the ISO9001 and our SOP to make all adapters have to pass full times testing before the adapters packing and shipping out. 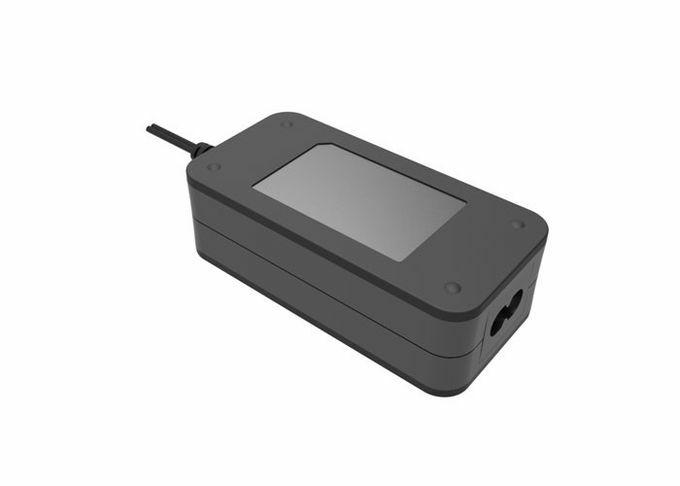 During the passed 10 years, we have designed and developed 3 -150 watts adapters, switching power supply, car chargers, fast mobile chargers and LED drivers, our adapters have passed the universal safety certificats such as UL CUL FCC CE GS CCC PSE KC SAA etc, and our adapters have been sold to over 50 countries in the world.We always keep our promise to all customers from the worldwide:High quality satandard and best service should make us win to win! 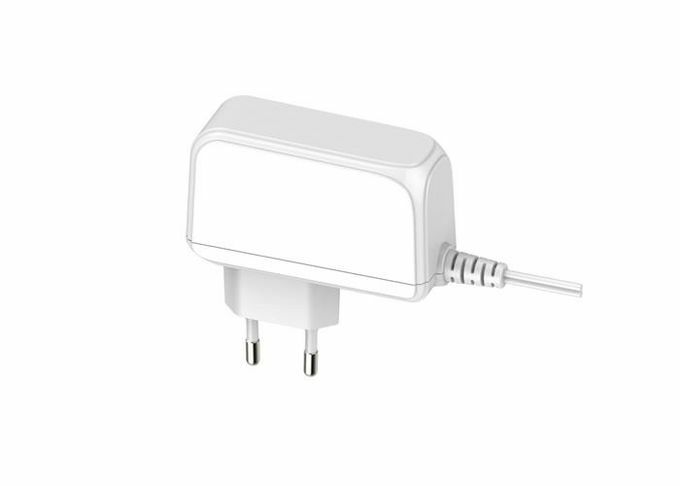 We always focus on offering customers high quality adapter with very competitive pricing to satisy all customers from worldwide. 1. Quick response to customers any requirements within 24 hours through our oversea sales . 2. offer 2-5 pcs free samples to customer for function testing. 3. Good lead time is 15 days only after confirmed the PO. 4. OEM and ODM are highly welcome. 5. 0.1% of total order quantities for back up. RUIYU Technology is a team just like a big family.We always emphasize the team work and cooperation with each department.R/D department design the good adapters according to the market trend and customers needs, and obtain the safety approvals ,the purcahsing department will buy in the materials depanding on the orders in hands and make sure the delivery time , QC / QA will check and testing the materials once they are ready, the production department will do the production following the schedule after the materials were passed the testing,Our oversea sales department handle all issues from customers including quotation, pricing adjustment, samples order confirmation, delivery date confirmed, payment and shipping. Our sales team can offer 24 hours service to all customers who are from the worldwide through email, telephone and other communication as wechat, skype, facebook. We strongly believe in we can be the best business partner with you! You can see and trust us once we begin the cooperation! Offerring you our best is what we must do for you! 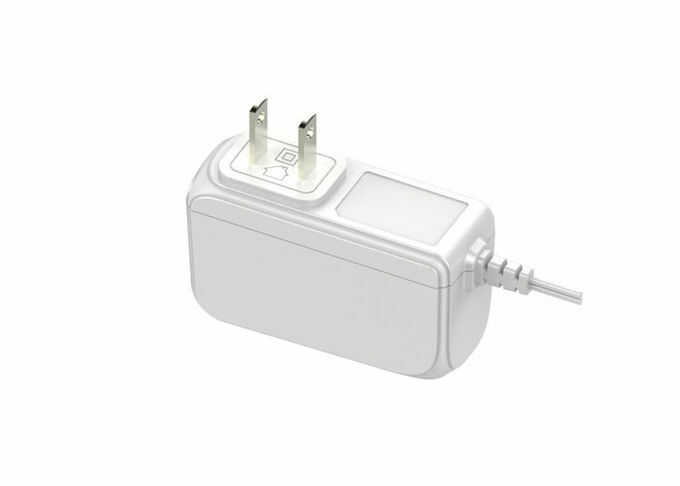 RUIYU Technology has designed and developed many kinds of ac dc adapters, switching power supply, car chargers and quick smart phone chargers as below, and all adapters have obtained the universal safety approvals such as UL CUL FCC CE GS EMC CCC PSE KA and SAA.They are IEC60065 IEC60950 and IEC 60601 standards.Our adapters can fufill global market requirements and our cuntomers come from over 50 countries in the world. 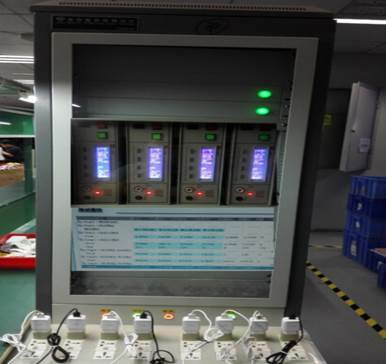 Our R / D team constandly improve the skill and introducing the new technology into the adapter manufacturing.We can provide the new adapters according to the customers needs and the market trend.Meantime,OEM and ODM also become the important business with many customers.